So How Does The Galaxy S4 Compare? The Samsung Galaxy S4 was one of the most talked about phones even before its release. Now we have it, how does it stack up against the competition in the Sony Xperia Z, the HTC One, and the iPhone 5? The simple answer is very well. It’s certainly amongst the top three phones available on the market at the moment and on some analyst lists it is at number 1. Let’s take a look at some of the features and characteristics of the phone to find out just how good it is. The Galaxy S4 is very thin. It measures 136.6 x 69.8 x 7.98 mm. With a screen that’s 5 inches, it feels really good in the hand. And they’ve done a great job of making it an ergonomic and easy to use one-handed phone. The screens on new phones today are absolutely extraordinary. We have a full HD screen on the Sony Xperia Z that is comparable to a £1,000 TV from four or five years ago in terms of number of pixels. The competition is hot and it’s incredible to see the improvement in the screens when we thought that the Samsung Galaxy S3 generation was about as good as it could get. The S4 is a 5-inch full HD screen that is vibrant, beautiful, and just about the best out there. The size is amazing considering the dimensions of the phone, and perhaps only the HTC One and the Sony Xperia Z are close in terms of the screen quality. The super AMOLED nature of the screen certainly for me makes it the best out there at the moment. The phone comes with 4G, as you would expect. It also comes with Bluetooth 4.0 and NFC. It’s packed full of features and software with Samsung raiding the research and development lab in the deployment of this phone. There’s so much on the phone that it can seem a bit complex. But the user interface is excellent and you’ll be totally wowed by the display. The Samsung S4 is currently available for free at around £35 a month. You can get a contract with unlimited data for around £45 a month. You’ll be surprised how much data you do consume when you have such a good high definition screen and 4G compatibility on the phone. It’s worth mentioning that the Samsung Galaxy S3 is now available at extremely affordable prices. You can get one for around £20 per month and it still is an extremely good phone. If you are on somewhat of a budget, it’s well worth keeping an eye out for deals on phones that have been superseded by new phones in their range. New phones these days are heavily reliant on their ability to take good photos. As consumers, we are less and less taking out a digital camera and more and more using the very good cameras on our phones. The S4 has one of the best cameras on the market. It trumps the HTC One and probably the Sony Xperia Z as well. It is a 13-megapixel camera that is capable of detail shots and then landscape shots as well; it really is a versatile and powerful camera, perfect for social media photos and family albums too. Alongside the specifications you have a lot of extra features including drama shot, beauty shot, and eraser mode. These make the camera even more versatile and exciting. The lens focal length in the S4 is perhaps not as good as the HTC One, but then the S4 is brilliant at producing balanced photographs. You’re more likely to get excellent photos with the S4 than the HTC One in most situations. Overall, amongst the new phones, the S4 is a real contender for the phone in which to invest your money. It has the best screen on the market, a really nice design that stands out and is becoming iconic, and the kind of internal power that is market leading. The camera is certainly one of the best ever put on a phone and overall it’s much, much better than the Galaxy S3. Some critics complain that it is plasticky and the design isn’t premium enough, but that is the Samsung brand. It is a very good phone and a beautiful phone too. When critics talk about the plastic, they are merely stating their opinion because they think phones should be made of metal. The plastic means that the Samsung Galaxy-S4 is extremely tactile, light, and usable. It does add to the ergonomic design of the phone. 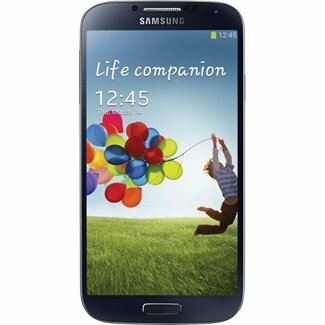 Essentially, the Samsung Galaxy-S4 has been developed as an upgrade to the Samsung Galaxy S3 in almost every function. The TouchWiz skin for android gets better and better the more you use it, which is refreshing in a world where the android platform can be presented in a somewhat stale way. The battery is good. You have a micro SD slot. And for me this really is the best phone in the market at the moment. Of course, the best phone is a subjective decision and you should probably go and try out the Sony Xperia Z, the HTC One, as well as the Samsung Galaxy S4 if you are choosing between the premium end phones on which to get a contract or buy outright, The only way you can really make a decision is by having a play around with the interfaces and see which you prefer aesthetically. Have fun!! !